As the Obama administration prepares to finalize its five-year program for offshore oil and gas leasing for 2017-2022, some proponents of offshore drilling in the Arctic have long argued — wrongly — that we must dramatically increase the amount of oil flowing through the nearly 40-year-old pipeline built to transport crude 800 miles from the once-massive Prudhoe Bay discovery to Valdez. 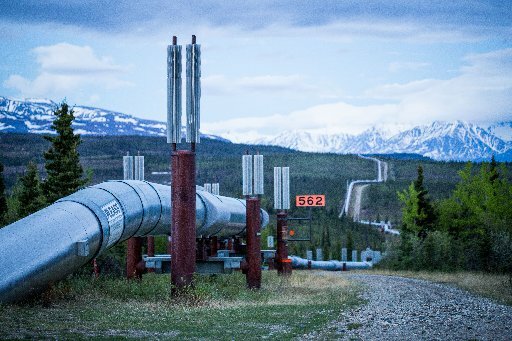 They make this argument to bolster support for drilling in highly sensitive federal waters and lands, but the trans-Alaska oil pipeline — commonly called TAPS — is likely to continue operating for roughly the next 50 years without oil from those areas. That’s because oil companies continue to find more oil on state lands, and the companies with existing North Slope oil production infrastructure, such as BP, ConocoPhillips and Exxon Mobil, have an economic interest in keeping the pipeline operational to move crude from Prudhoe and other North Slope reserves to market. At its peak in 1988, the pipeline carried more than 2 million barrels of oil per day; as North Slope production has declined, however, daily throughput has dropped to approximately 508,000 barrels. Those who favor more drilling claim that if we don’t put more oil in the pipeline, namely from the Arctic Ocean, the Arctic National Wildlife Refuge or from all parts of the National Petroleum Reserve-Alaska, the pipeline soon could become inoperable. What drilling proponents don’t mention is that the industry’s own engineering analyses show that the pipeline is capable of operating at a much lower volume than it now carries. According to a Petroleum News article titled “A TAPS bottom line,” a study for BP found that the pipeline’s throughput likely could be sustained down to about 135,000 barrels per day. Other industry studies show that with changes to the pipeline, the low-flow limit might be less than 100,000 barrels per day. Oil pipelines are designed and operated to carry less than peak flow, so the fact that the trans-Alaska pipeline currently moves about one-fourth of its 2 million-barrel peak capacity does not have great significance from an operational standpoint. In any event, existing and future production on Alaska’s state lands and waters in the Arctic likely will keep the pipeline operating for several decades. To say otherwise is merely a way of advocating for new drilling on environmentally sensitive federal lands and waters in the Arctic. Between now and January, the Obama administration will decide whether to include two Arctic Ocean lease sales in the 2017-2022 leasing program, one each in the Beaufort and Chukchi seas. To do so would be a mistake. Shell showed this with its many dangerous Arctic drilling and mobilization problems in 2012 and 2015, including the grounding of a drill rig, the near-grounding of a ship and the ripping of a hull. It is impossible to meaningfully clean up spilled oil in the ice-filled Arctic Ocean. And there are long-term, downward pressures on the price of oil. Whatever the price of oil, Arctic Ocean drilling will be among the riskiest and most costly in the world. In short, the U.S. Department of the Interior can decide not to include new Arctic Ocean lease sales in the five-year leasing program without concern for the long-term operation of the trans-Alaska pipeline. Lois Epstein is an Alaska-licensed engineer and the Arctic program director for The Wilderness Society.